When MyTopFace experts heard that we would be able to try a bundle of Image Skincare’s products, we jumped at the opportunity! Founder Janna Ronert created a skincare line with the perfect mix of natural and professional quality ingredients to leave your skin feeling fresh and young in just a couple of uses. And without breaking the bank! 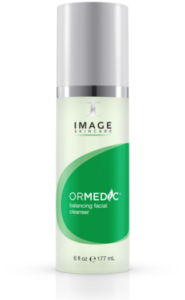 The ORMEDIC balancing facial cleanser is an organic-blend gel cleanser that lifts away makeup and impurities and balances the pH of your skin. A wonderful blend of organic chamomile, green tea and oat kernel extract delivers essential nutrients to restore the skin’s natural balance. Leaves skin soft, hydrated and clean. Just apply a small amount to a wet face, massage in for 1 minute and rinse with cool water. The cleanser can be used in the A.M. and the P.M.
Want to remove your makeup after a night out or just clean the eye area before applying the rest of Image Skincare’s regimen? 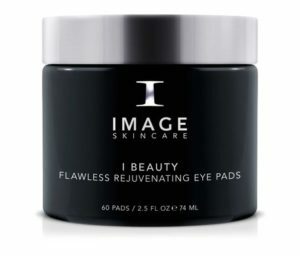 Use the I BEAUTY Flawless Rejuvenating Eye Pads. The coconut water-based pads nourish and revitalize the eye area. While plant extracts smooth fine lines and wrinkles, naturally promoting skin’s youthful appearance, chamomile calms irritation and reduces puffiness. The pads cleanse and refresh, all in one simple step. 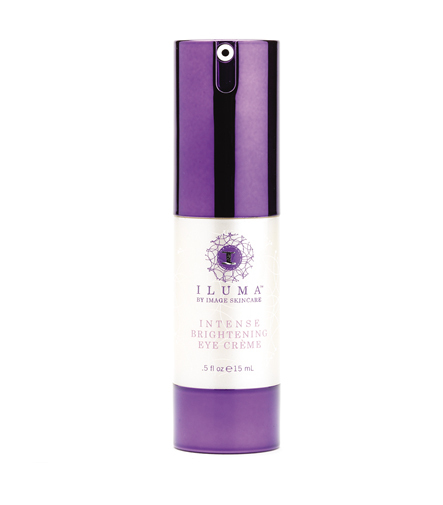 ILUMA intense brightening eye crème works wonders by lightening and brightening the delicate eye area. The crème also helps to significantly reduce the visible signs of aging around the eyes including puffiness, dark circles, wrinkles and lax skin. Restore that vibrant, youthful appearance and leave your eyes looking instantly firmer, brighter and more radiant. And it’s as easy as 1, 2, 3! Just pat a pea-sized amount with your fingertips to your upper and lower eyelids once a day. For more tips on how to pamper this part of your face, visit Anastasia Beverly Hills: Bestsellers for the Women Who Want the Best. 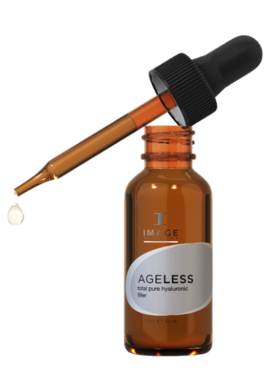 This Image Skincare’s Ageless total pure hyaluronic serum plumps and fills lines with concentrated, infused with an apricot essential oil, Vitamin B5 and potent anti-oxidant Vitamin E. Skin will feel pure hydration in just one application of this hyaluronic filler. Smooths and plumps skin without an injection. Apply to cleansed skin in the A.M. and P.M.
VITAL C’s hydrating enzyme masque and CLEAR CELL’s medicated acne masque are nothing short of a mini spa facial that can be accomplished at home, and with little effort but a huge payoff. The VITAL C’s hydrating enzyme masque contains a hydrating enzyme that gently exfoliates the buildup of dull, dry skin. 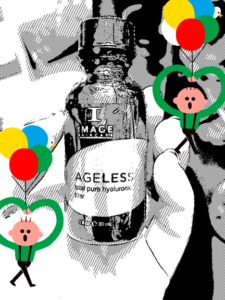 Nourishing Vitamins A, C, and E promote healthier, more radiant youthful skin. And the mask gives off a radiant and wonderful citrus smell that will leave your nose and face happy. The CLEAR CELL’s medicated acne masque is designed to immediately draw out impurities and excess oil. Anti-oxidant blends of nutrients soothe any irritated and red acne areas you may have. This masque leaves skin fresh and oil-free. Both masks should be applied to freshly washed skin and can be left on for 5-10 minutes. Remove with warm water. Both masks can also be used 1-3 times a week. Or less if skin becomes a little irritated. 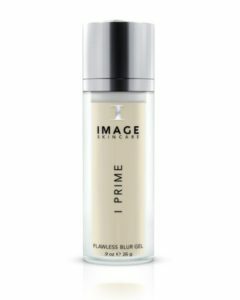 Prime skin to perfection with this I BEAUTY i prime flawless blur gel. The primer helps to reduce the appearance of deep wrinkles and lines and leaves your skin flawless for makeup application or even just a clean, fresh-faced appearance. The toner smooths imperfections, leaving skin glowing and on it’s way to perfection. Apply to a clean, freshly moisturized face. 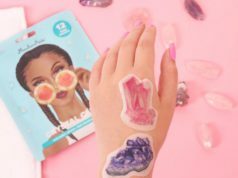 You can wear this alone or before the application of I CONCEAL flawless foundation. 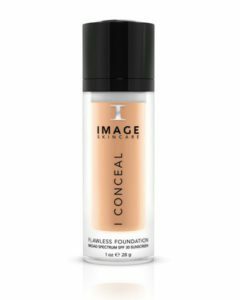 I-CONCEAL flawless foundation is a daily foundation that heals and conceals for a flawless complexion. First, pump a bit on to the top of your hand or another surface. Next apply using either two fingers or your I BEAUTY No. 101 Flawless Foundation Brush. The foundation will make your skin look clean, clear and ready for the day (or night!). Don’t be afraid to use daily for an amazing airbrushed look. Brush away blemishes with the I BEAUTY No. 101 Flawless Foundation Brush. With it’s professional quality HD component and dense bristles which are specifically designed to fit the contours of your face, the brush leaves your face flawless. To use, just distribute a small amount of I CONCEAL on the back of your hand or onto a makeup palette. Dip brush slightly into foundation until bristles are lightly and evenly coated. Apply I CONCEAL in small circular motions beginning in the center of the face, blending outward and upward into the hairline. The results is a blended and buff airbrushed effect. Don’t be afraid to be the next Michelangelo, with your face as the canvas! When all was said and done, our experts couldn’t have been happier with the results. From cleanser to concealer, our faces felt rejuvenated in as little as one trial! This is definitely a regimen we would not only stick our necks out to back up… but our faces too!